Above: Performance of RE:soundings (interference variant) at Open Ear – Interference, Canterbury Christ Church University, Broadstairs Campus, England on the 16/10/07. Feedback audio looped or networked through a laptop is used to explore the aural and visual patterns of wave forms. Overlapping, passing in and out of phase, the waves simultaneously create a constructive and destructive interference which result in new patterns within a naturally occurring chaotic system. RE:soundings (interference variant) was first premiered as part of the Open Ear Interference event. 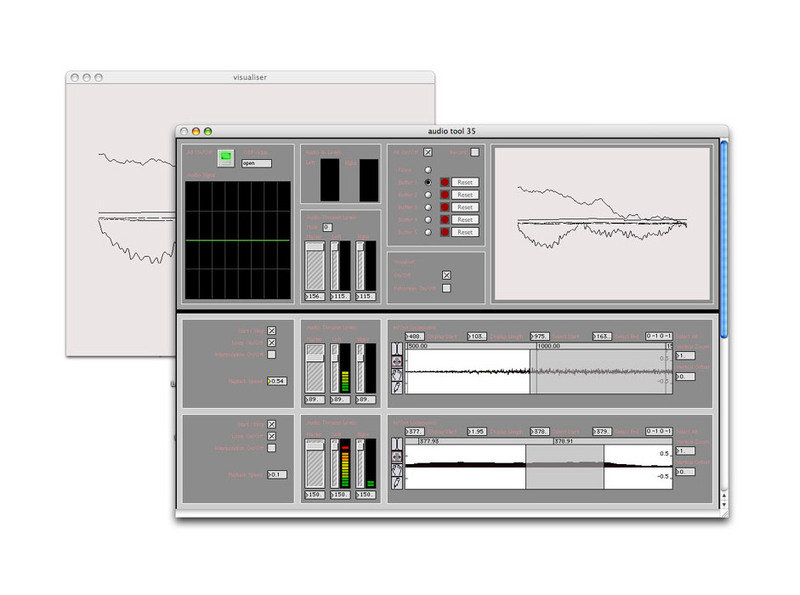 RE:soundings (interference variant) was performed using version 2 of the RE:corder software designed and created by the artist in max/msp. For related work employing RE:corder see RE:soundings and Trav—erse.